WASHINGTON, D.C., April 19, 2011 – A local reporter who is having an international impact has earned top recognition from the National Association of Black Journalists (NABJ). At its spring Board of Directors meeting, it named Miami Herald’s Caribbean Correspondent Jacqueline Charles as Journalist of the Year. 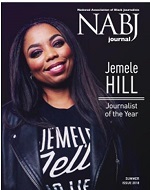 She will join other top honorees at the association's Salute to Excellence Gala, on Saturday, August 6, 2011, in Philadelphia, PA, during NABJ's 36th Annual Convention and Career Fair, the largest gathering of minority journalists in the country. The Haitian-Turks Islander continues to gain accolades for her coverage, especially of the on-going crisis in Haiti as it charts a new course since the devastating earthquake in January 2010. Charles began her career with the Miami Herald in 1986 as a high school intern. Upon completing her degree at the University of North Carolina-Chapel Hill, she returned to the Herald as a full-time journalist. Although still relatively freshly minted as a working professional, her first international story had global significance: the return of Haitian President Jean-Bertrand Aristide. She has continued to cover triumphs and tragedy in Haiti and other island nations with unrelenting energy to tell stories that not only impact but also educate and encourage change. Despite international reporting, Jacqueline Charles always made it part of her journalism mission to share with future journalists the opportunities that she received through NABJ, its Region Three, and South Florida Black Journalists Association. "Jacquie was instrumental in managing the regional conference held in Miami,” said Terence Shepherd, SFBJA President and former long-time Herald colleague of Charles. He calls her "a passionate advocate for excellence in journalism.” For many years, Charles served on the SFBJA Scholarship Committee, which awarded thousands of dollars in scholarships to high school students bound for college as journalism majors. Shepherd, who is now Managing Editor of BankRate.com says, "She was a driving force behind inspiring chapter members and colleagues at the Miami Herald to volunteer to help with the annual summer journalism program for high school students at the University of Miami.” Charles has continued to recruit colleagues and students for the high school workshop, even while covering the devastation and determination in Haiti. "Jacquie has done more to focus the world's attention on the tragedies and triumphs of Haiti than any other reporter, sometimes at great personal risks,” said John Yearwood, World Editor of the Miami Herald and co-chair of the NABJ World Affairs Task Force along with Djibril Diallo, who nominated Charles for the honor. "Haitians tell me all the time that they owe her a debt of gratitude. This recognition is well-deserved." In 2010 NABJ also honored Charles as its International Reporter of the Year at its Tampa convention. 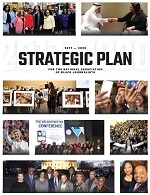 "Her work is an inspiration for reporters who want to bring the cultural history of the African Diaspora into the realm of greater understanding of people of color,” said Deirdre M. Childress, NABJ Vice President-Print. "I salute her work as an example for inspiring and fearless journalism, meeting the goal of NABJ's coverage of our communities. She shines a light on communities that deserve greater coverage and that offer black journalists a linkage to our history." The Salute to Excellence Awards Gala recognizes journalism that best covered the black experience or addressed issues affecting the worldwide black community during 2011.NABJ's 36th Annual Convention and Career Fair will take place August 3-7, 2010 in Philadelphia, PA. For additional information, ticket sales, and registration, please visit here.